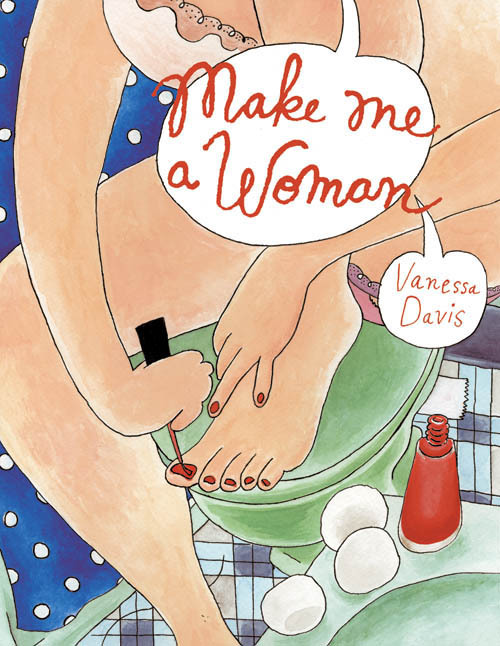 Vanessa Davis‘ book is mixture of strips, sketchbook pages and diary entries that take place in FL, where she grew up , NY where she lived for a time before she move to LA in CA. Some have appeared in Tablet Magazine and other print zines and anthologies. Crassly these stories occupy the woman-centric world that Lena Dunham explores in Girls. These are brave works. They storm into memoir and identity formation in a way that challenges, sometimes screams and other times tickles. Sometimes taunts, sometimes slaps.The book ranges, and jumps around just because of the nature of the fact that they were not written to all appear in one place, but any one who wants to laugh and be challenged to explore the world of growing up Jewish in America will find it time well spent. I am looking for more as soon as I finish this post.